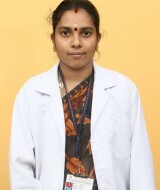 She has completed her under graduate and post graduate in nursing under The Tamil Nadu DR. M.G.R Medical University, Chennai and her Master of Philosophy [MPhil (N)] in Nursing, Manipal College of Nursing, Manipal University, MAHE. She also completed PhD Nursing, in Saveetha University, Chennai 2018. She has organised and conducted several workshop, CNE programme, seminar at university level, institutional and national level oriented to different aspects of education and administration. She has been recognized as trainer for GFATM nurses training project on HIV/AIDS by INC.
Padmapriya S, Fathima Latheef and R Vijayaraghavan (2017). Correlation between Body Mass Index (BMI) and fasting glucose in post-menopausal women. The Nursing Journal of India. 108(3):103-105. Padmapriya S,Roach EJ & Lobo JD (2017). Effectiveness of preoperative instructions. Manipal Journal of Nursing and Health Sciences. 3(1):3-9. Padmapriya S, Fathima Latheef (2017). Effects of soya milk on menopausal symptoms and quality of life among women- A randomized pilot study. Indian Journal of Traditional Knowledge.17 (1):198-203. Mathew LA, Padmapriya S, Renu G (2017). Impact of self-efficacy enhanced individualized teaching on labour pain management among parturient women. International journal of health sciences &research 7(7): 150-153. Padmapriya S, Fathima Latheef (2016). Effects of soya milk on menopausal symptoms among women residing in selected rural community, Bengaluru, India. Int. J. Res. Ayurveda Pharm. 7(6): 115-118. Padmapriya S, Roach EJ (2013). Effects of pre-operative instruction on anxiety among women undergoing abdominal hysterectomy. The nursing journal of India. 104:4-8.